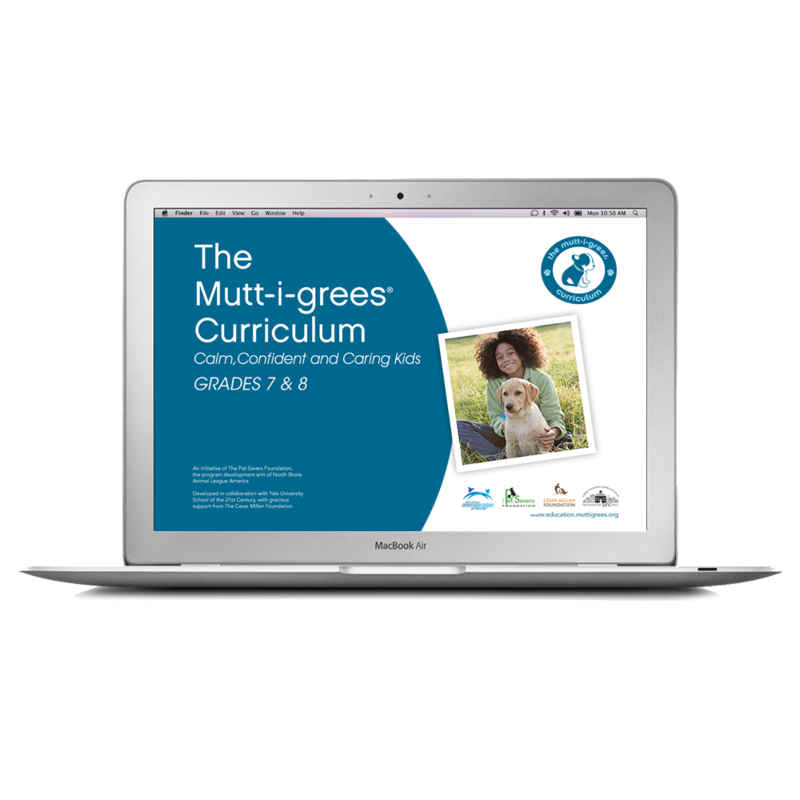 Since we launched it in 2010, the Mutt-i-grees® Curriculum has prompted teachers, counselors, and librarians across the country to adopt shelter pets and make them lovable, calming members of their educational communities. Every day, students from Pre-K through high school are learning lessons in empathy, compassion, and self-confidence through this remarkable program. In Oklahoma, for example, a cat named Weaver teaches students that, as one of our binders explains, Cats Are Muttigrees 2. But much more common are the school dogs, classroom canines who are living examples of the transformative power inherent in the human-animal bond. 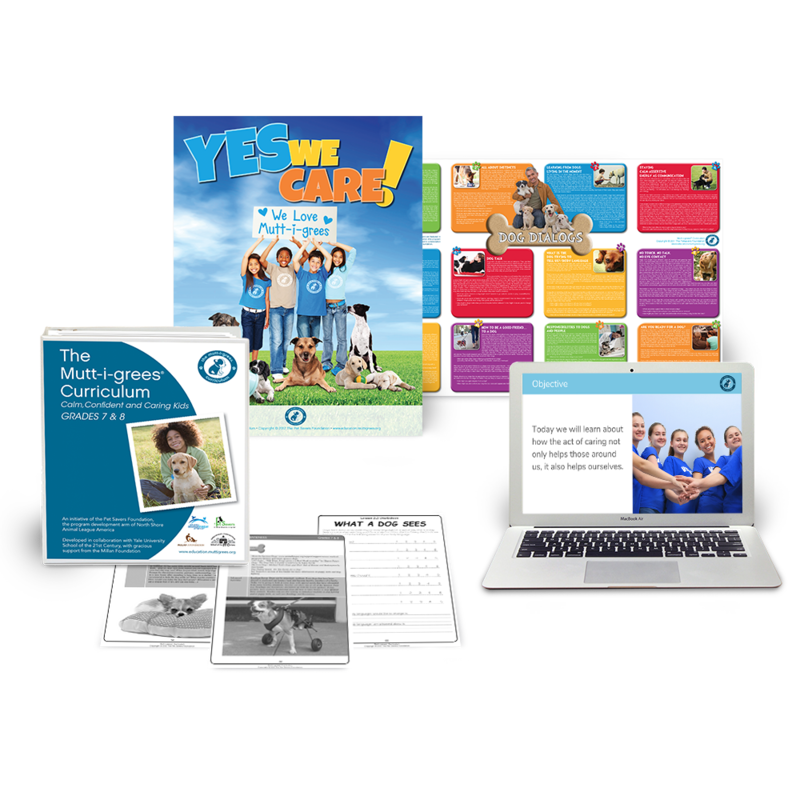 A direct outgrowth of the Curriculum is the Comfort Dog Program, a joint effort with the New York City Department of Education. 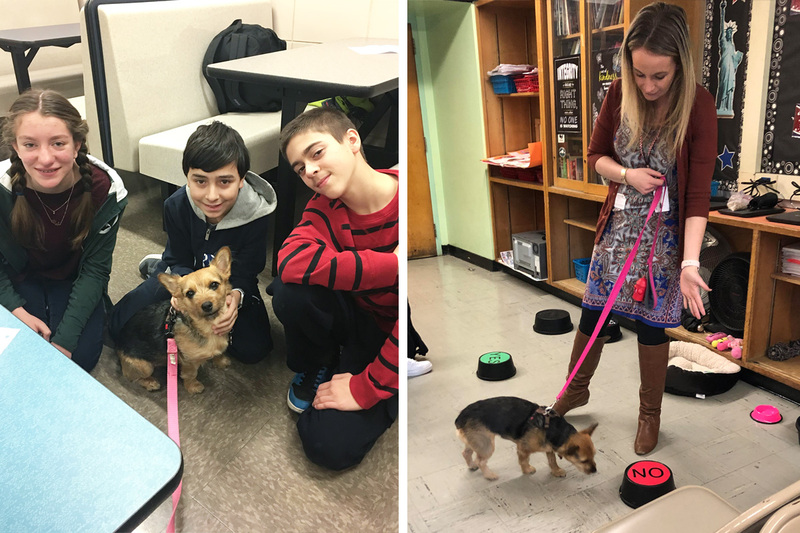 Established in 2016, this popular program continues to expand, impacting the lives of dogs, students, their families, and communities. 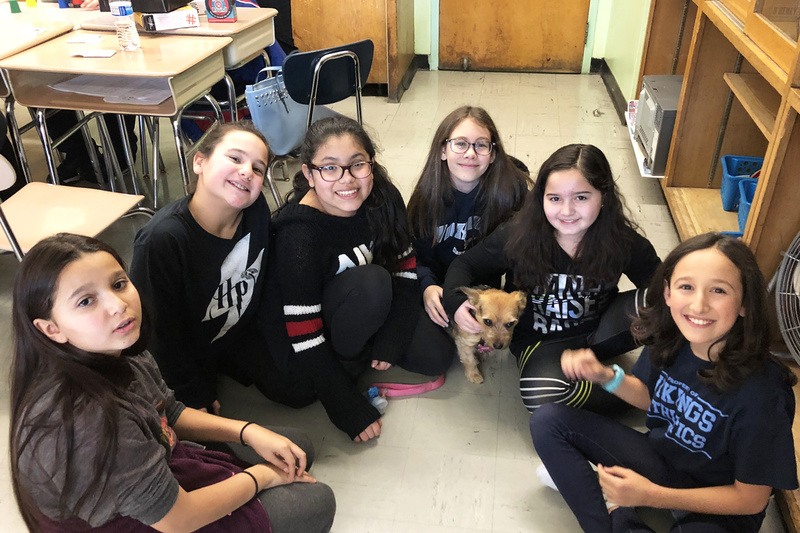 Seven new schools joined the program in 2018, for a total of 50 schools and 59 dogs, each lovingly adopted from Animal League America. Kelly Largo, who teaches 7th grade social studies at I.S. 7, recently sent us an update on Sugar, which we’re delighted to share with you below.